I started running in middle school, then ran cross-country and track through high school. I was a mediocre runner on a team of amazing athletes. I tried cross-country in college but after one season, my coach told me I wasn’t cut out for it. Talk about a blow to an 18-year-old girl. Needless to say, my competitive career took a pause, but I still tried to run to stay active through my early twenties. After getting married, I started racing again, and I haven’t stopped. I ran a few half-marathons and shorter races in the years before and immediately following the birth of my twin boys. When they were 3, we moved from NJ to IL. 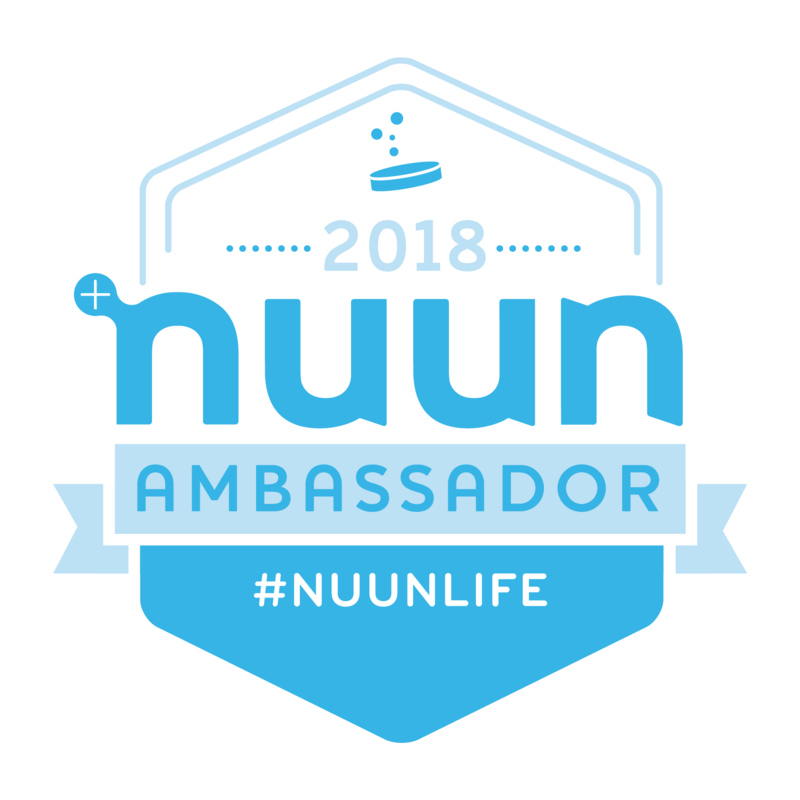 I remember telling my husband that I was going to join a running club because I needed a way to meet friends in my new area. The first weekend I moved, I joined a group of amazing runners who inspired me to run my first marathon 3 years ago. 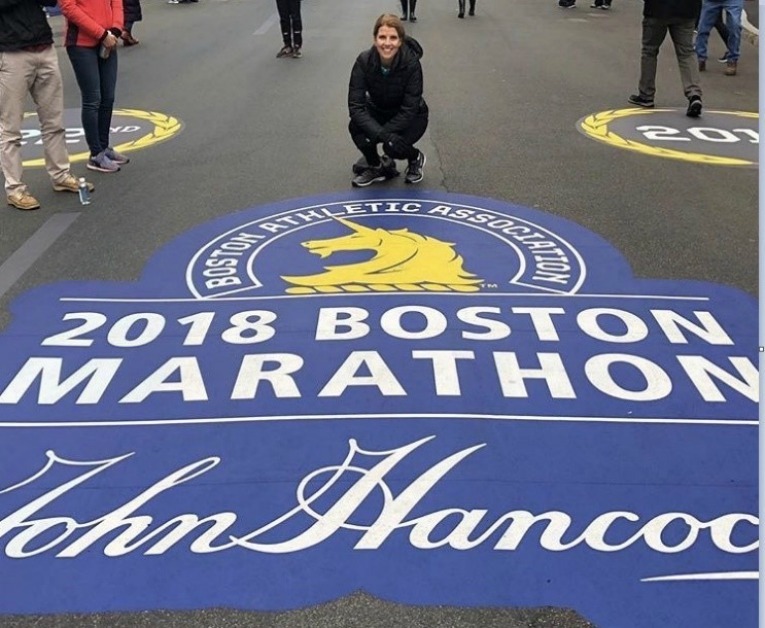 I’ve run 9 marathons to this point [including Boston twice! 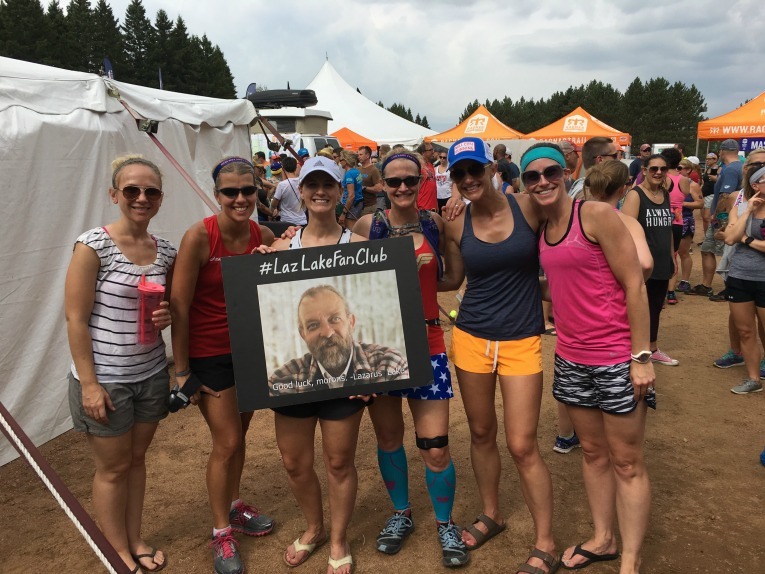 ], and I’m currently training for Twin Cities Marathon in October. I’m so grateful for the joy and friendships running has brought to me. 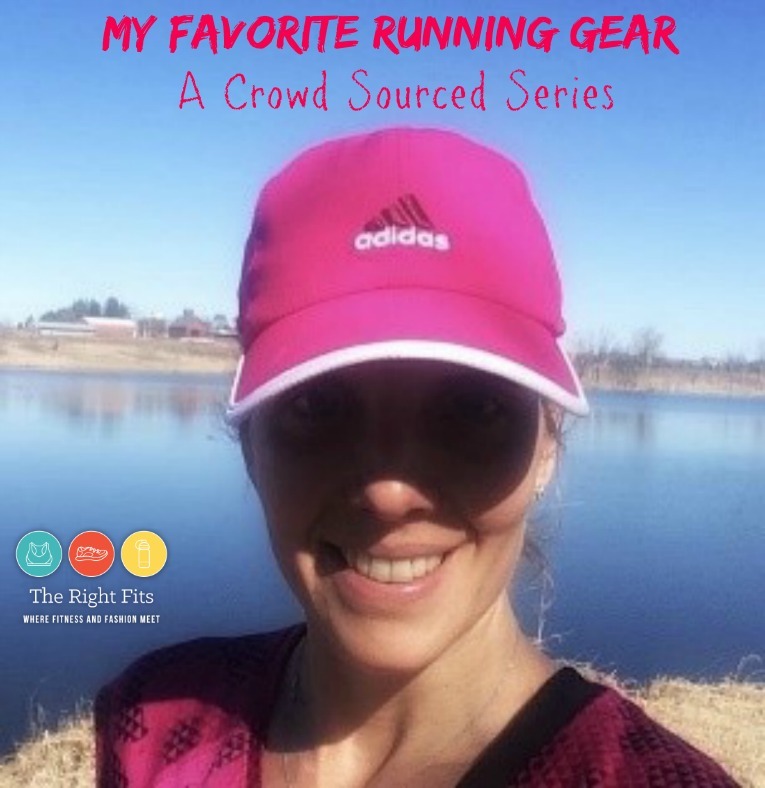 I’m also grateful that I work from home so most of my wardrobe dollars are spent on running gear! I’ll admit it. 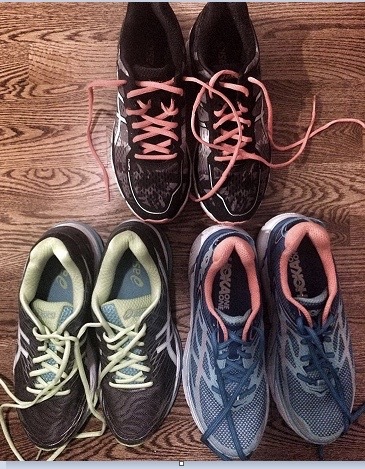 I have a shoe problem…a running shoe problem. I typically have at least 3 pairs “in play” because I once heard that rotating shoes is good for your feet. I take this advice very seriously. Not sure why, but it’s one of those things that stuck in my head. I typically have at least one if not two pairs of Asics in my rotation. Asics Kayano are my favorite but, like every shoe, each model is different so it’s important to test them each time they come out with a new model. I also love my Hoka Cliftons for recovery days. I try to wear them when I have easy miles… they take good care of my feet. Adidas Boost have also been great for me and I’ve worn them in my past two marathons. Just enough cushion and light. Recently, I started wearing Mizuno Wave Riders and, wow, they are super comfy! Time will tell but they could pull in to the lead as my favorites. Like I said…a shoe problem. I own 7 pairs of Athleta’s Ready, Set, Go shorts because, of course, I need one for each day of the week! I love them, they are perfect for me but they no longer make them. In my despair, I emailed Athleta and asked for the replacement. They suggested the Laser Run Shorts. I had to give them a try…they are great!! They feel different than my others, but I think I’ll get used to them in no time. I have probably trial-and-errored more tops than any other running gear. I love basic Asics tanks and a few from Oiselle. I haven’t quite found my go-to tank, however. I usually just grab the one that’s on top of the stack. Belega Hidden Comfort. 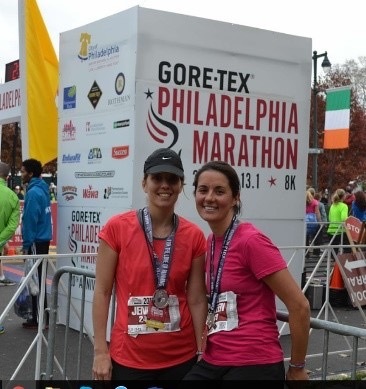 My sister bought me my first pair before we ran the Philadelphia Half Marathon together. I didn’t know it at the time, but it was the start of something great. Sports Bras: Champion Seamless Racerback from Target are my favorite. They are reasonably priced and so comfortable for those of us who don’t have much to support. Champion Seamless Racerback from Target are my favorite. They are reasonably priced and so comfortable for those of us who don’t have much to support. I typically run in a hat. When I don’t, I feel naked. All my favorites are from Adidas. They do something to make them extra comfortable. I also love my Bose SoundSport Pulse wireless headphones. They are super comfortable and never fall out of my ears. The sound is amazing and they don’t block out all the external sounds…which makes me feel safer. Thanks Jen for sharing your favorites with us! 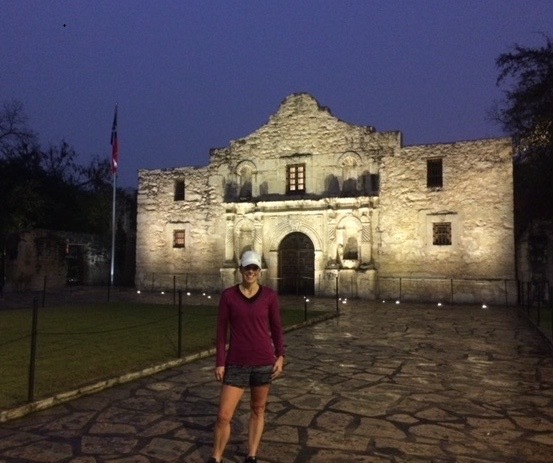 « Weekly Recap: 26 Weeks Until the Houston Marathon! I really love this series on your blog. It not only introduces me to new runners, but also new brands that I should check out! I’m so glad you have enjoyed it!